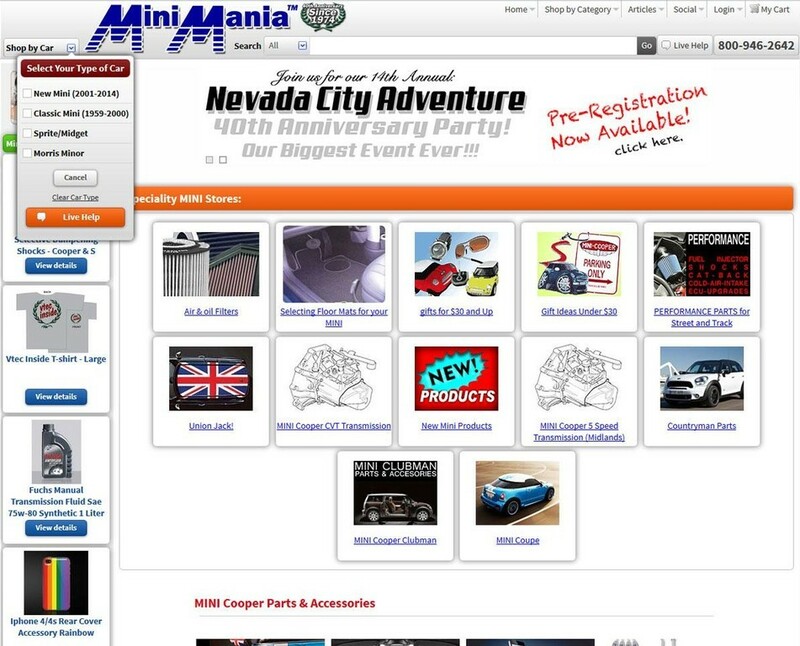 Mini Mania is a fully custom e-commerce website with built in content management features. Complete custom shopping cart system, that is directly linked to their point of sale system for processing completed orders. Inventory is also maintained in their point of sale system and replicated to the website. Custom Forum, Cars for Sale, Auctions, Car Make and Model drill downs are just a few of the custom modules in place. Custom Graphic Design by Racine-Web Design. Mini Mania is your Mini Cooper Parts and Accessories Superstore. This is by far the best website for your Mini Cooper. Everything from parts and accessories, informative articles and a community of very educated users that know everything about Mini. Looking for a Mini to buy? They have a extensive cars for sale section with both classic and new Mini Coopers.